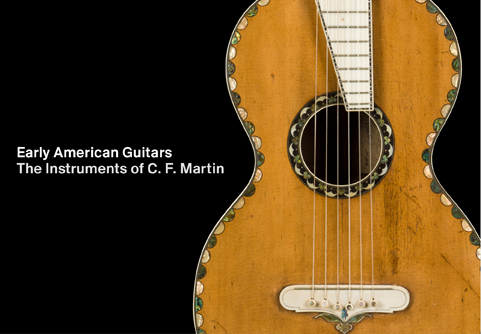 The Metropolitan Museum of Art in New York City is featuring an early Martin guitars exhibition in 2014. The exhibition is sponsored by the Martin Guitar Company. Christian Frederick Martin, founder of the great American guitar firm C. F. Martin & Co., was the son of a cabinetmaker in Markneukirchen, Saxony. Martin learned to build instruments from the famed Johann Georg Stauffer in Vienna. Due to the restrictive guilds in Markneukirchen, Martin moved to the United States in 1833, settling first in New York City and later moving to Nazareth, Pennsylvania. In the United States, Martin encountered the Spanish-style guitar and incorporated elements from that tradition into his own Viennese style of instrument construction. The result was a new form of the guitar, a style that would become important as a basis for other American makers of the instrument. This exhibition will include approximately thirty-five instruments from the Martin Museum in Nazareth, Pennsylvania, The Metropolitan Museum of Art, and several private collections. If your into guitars and in New York in 2014 this will be a worthwhile exhibition to catch.